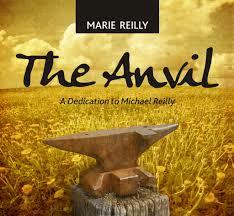 A look at albums we have written about in 2013 – here’s Marie Reilly and her 2013 release ‘The Anvil – A Dedication to Michael Reilly’ taken from Irish Music Magazine. This album has sentimentality written all over it, but in a great way. A set of eighteen tracks dedicated to the Leitrim/Longford style of playing through the guiding legacy of the late Michael Reilly. It is by his daughter Marie. She lovingly portrays her father’s technique as she incorporates the slur–and–cut bowing style preserved through the generations with tunes that document the historic relevance of the tradition through eight generations of instrumentalists. To add to the authenticity she has added three tracks of the playing of Michael Reilly himself. I loved hearing the story behind the title, The Anvil, taken from memories of, as a young girl, helping Michael in his trade as a blacksmith and lilting and whistling tunes together until on the final note he struck the anvil with his hammer. The tale echoes the reflective, almost whimsical tone of the album and with tunes such as The Low Level, taken from the recently discovered manuscripts of Alex Sutherland, gliding languidly into Floods Hornpipe; we are enriched with an archival listening pleasure. Sutherland’s collection gives us a taste of another distinctive style as Greg’s Pipes and The London Lasses reels embody the scordatura fiddle tuning EAEA to emulate a bagpipe drone effect. The piano of Gabriel Donohue provides a baseline for the fiddle to traverse through the high notes in complementary fashion and his accompaniment throughout the album serves to enhance the overall quality. There’s more than just the music in The Anvil. It is a fitting tribute to both the instrumentalist and the regional style from which these archival tunes derived and that sourcing of tunes and the historical research behind it is an added bonus to a lovely array of well executed tunes.